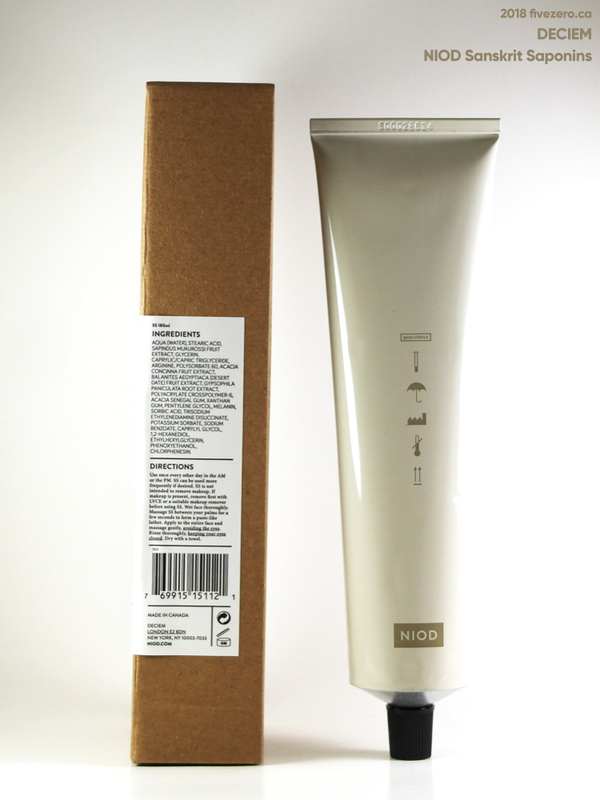 NIOD is one of the pricer lines under the DECIEM umbrella, and while I was a little curious about it, having only tried the more affordable The Ordinary and Hylamide lines, I wasn’t keen to shell out C$50+ for curiosity’s sake. 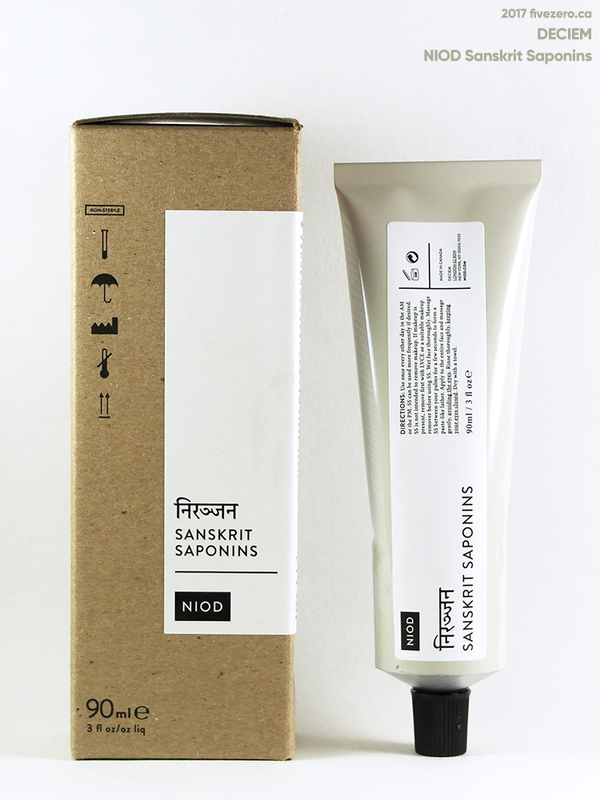 However, during a Sephora sale last year, I picked up Sanskrit Saponins, one of the least expensive items in the NIOD range at CA$29 for 90 mL (I ended up paying under $25). I actually ended up liking the cleanser a lot, so during DECIEM’s recent Boxing Day sale, I picked up the jumbo-sized (180 mL) for $9 each! Whew, I won’t have to buy cleanser for a while. What originally sold me on Sanskrit Saponins was the backstory that DECIEM provides on their website. I know, I fell for the marketing! But honestly, it sounds cool. The active ingredient is Sapindus mukurossi (soapnut) fruit extract. The saponins found in this extract are a natural surfactant, so they have been used as a cleaning agent since ancient times. A study has also indicated that soapnut extract (though not necessarily the saponin component) acts as an insecticide. My Sephora VIB Sale orders arrived earlier this week, and I’ve only just had a chance to open them up and have a look. 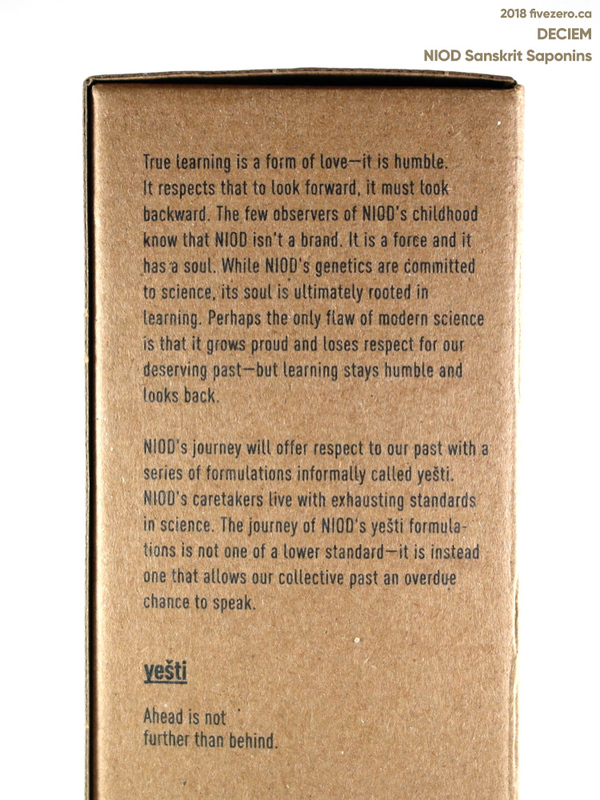 I turned the NIOD tube backward in the group shot, haha! Oops.